Summary: NIBBLES, the book-eating MONSTER, has chomped his way into this book of DINOSAURS! Has he bitten off more than he can chew?! 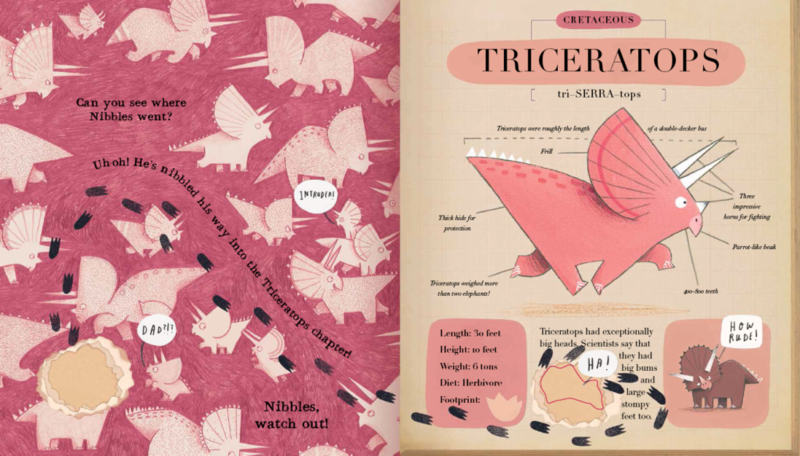 What is so interesting about this new book is that it takes the concept of Nibbles (a book eating monster) and takes him on a time-traveling adventure to the age of the dinosaurs using his eating/transporting powers. It is funny and educational. Just as the first one combined Nibbles’s antics with fairy tales, this one combined Nibbles with dinosaurs education! Teachers’ Tools for Navigation: What I love more about this one than the first one is that it has a cross-curricular component to it with the inclusion of dinosaurs and specific information about the dinosaurs. This allows the book to be used in reading, writing, and science lessons. I also think it’d be so much fun to have students write their own Nibbles story with him eating into a different topic than dinosaurs. 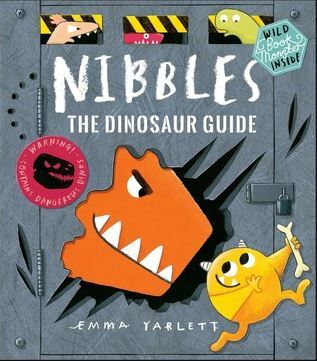 Discussion Questions: Which dinosaur was the scariest that Nibbles faced? The least scary? ; What new information did you learn about dinosaurs? ; What were the similarities and differences between the different dinosaurs Nibbles encountered? ; What were the consequences of Nibbles jumping back in time? ; If you were Nibbles, what book would you Nibble into? Where in time would you jump to? Ahhhhh!!! I need a copy of this in my life, too!!!! This looks amazing!! 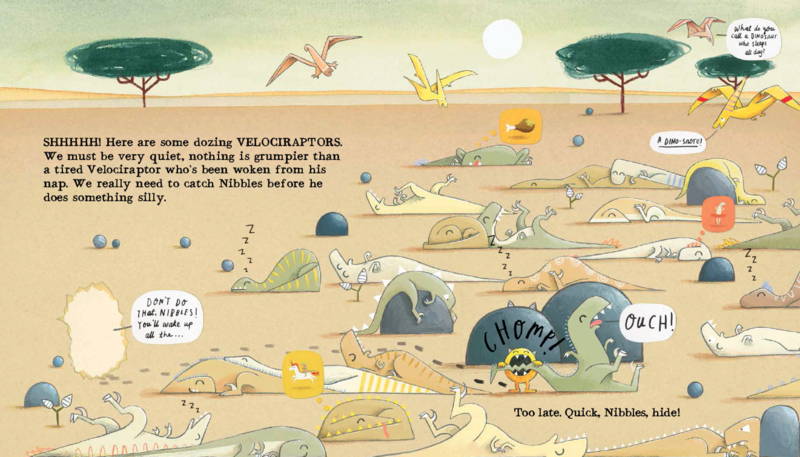 I have a whole bunch of dino-lovers in my library who will be big fans of this one, for sure. I love Nibbles, and I know you and your readers would, too!